I haven’t been big on journaling about my love life since my dorm-room days, mainly because it never ended up being very productive back then. (Clearly, my emo musings didn’t help that doomed relationship.) But it turns out I may have just been approaching the journaling thing from the wrong angle. 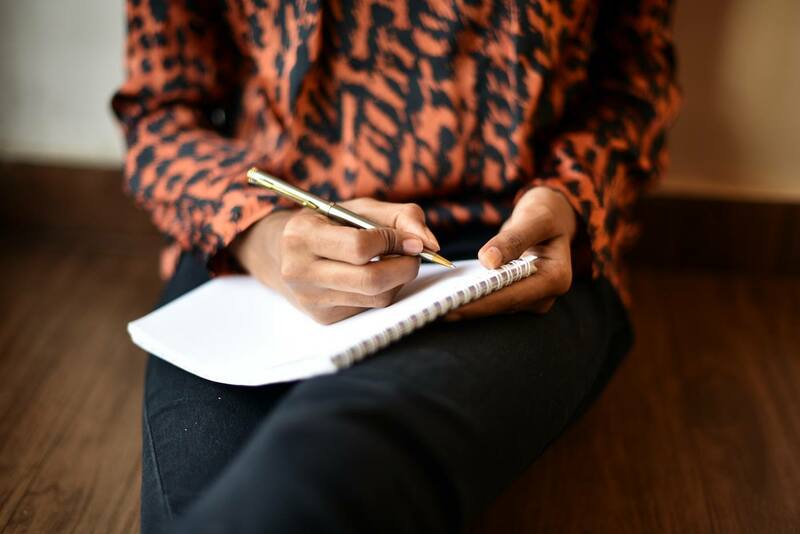 She adds that writing can help you tune in to your inner voice and appreciate who you are—in other words, your journal shouldn’t just be a dumping ground for frustrations about your partner. (Although that can definitely be helpful in some situations.) Rather, look at it as a place to dig deep into who you are and what you want. Intrigued, I asked Rubin to provide a few journal prompts that can help take a person’s relationships to the next level, whether single or attached. Mom, if you’re reading this, please spare my gel-ink pens from the fire—looks like I’m gonna need them. The perfect day visualization: A big roadblock people come up against when dating is that they don’t really know what they want, says Rubin. And if you’re not clear on your endgame, she adds, you risk wasting time and energy on people who ultimately aren’t going to be the best fit for you. Journal out a whole day spent with this person. What does it feel like when you wake up together? Where do you go? What do you do? Really dig in and get specific. Keep coming back to how it feels physically and emotionally. Are you energized? Does it give you a sense of safety? Are you having fun? The post-date debrief: One of the ickier aspects of dating-app culture is that it can make a person feel like they’re on a job interview, and it’s easy to put too much focus on the performance aspect. We’ve all fallen down the rabbit hole of self-doubt. (Were my jokes funny enough? Did she notice the huge zit on my chin? Is he going to ask me out again?) But Rubin says this is the absolute wrong approach. “We’re often so preoccupied with being chosen that it’s easy to forget that you are picking your partner, as well,” she says. How did your evening make you feel? What did you enjoy about spending time with this person (or not)? Did they make you feel good or kick up insecurities? It’s not about judging your date, she says. “It’s about being connected with yourself through the dating process and assessing whether you two humans are a good fit for one another.” You might be surprised to realize that person you were hoping to impress isn’t actually that impressive themselves—in which case, thank u, next. The stress-buster: Stress is a major relationship buzzkill—if you’re obsessing over your to-do list or a conflict with someone at work, it’s hard to be present with your partner. Compounding this, says Rubin, is the fact that self-care can often take a backseat when you’re coupled up. “It erodes the foundation of the relationship long-term, because you both need to be taking care of yourselves in order to have the energy and clarity to take care of each other,” she points out. Here’s how Rubin uses her journal to calm her mind and clear mental space for her S.O. In the morning, do a free-write for at least four minutes and see what comes up on the page. Think of it like a juice cleanse for your brain. The self-love party: Let’s be honest: One of the perks of being in a relationship is having someone constantly tell you how great they think you are. (Just me?) But if you’re solely looking to your partner to validate you, you’re likely heading down a sketchy path. “We aren’t going to get all our needs met by a significant other. That’s unreasonable and unrealistic,” Rubin says. If you find that your moods peak and dip based on the amount of attention you’re getting from your plus-one, Rubin suggests giving yourself the gratuitous praise you’re seeking. “Make a list of the things that you appreciate about yourself, and I don’t mean a short list,” she says. “Go for at least 50: traits, body parts, habits, you name it. Like how you set the dining room table? Include it. Think you have lovely feet, claim it. Love how you are a good friend to x person? Celebrate it.” It’ll take the pressure off your partner to be the president of your fan club—but, more importantly, it can help you fall a little deeper in love with you. Not big on the whole gratitude journal thing? Try writing a failure résumé. Or, if you really want to get to know yourself better, consider adding poop tracking to your bullet journal.